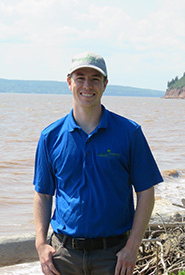 Liam Stewart was a summer 2018 intern with NCC's Atlantic region. He is a biology student at Mount Allison University with minors in biochemistry and classics. His interests include conservation work, photography and hiking. In the future, he hopes to work with or alongside the Nature Conservancy of Canada in their various projects and conservation efforts.